AN IRISHMAN HAS been arrested in Rio de Janeiro on suspicion of ticket touting at the Olympics. 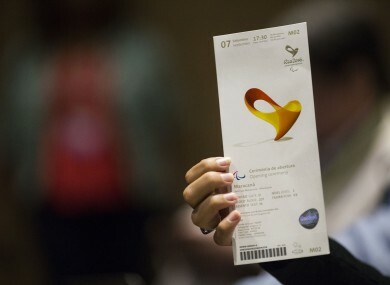 It’s reported that he was arrested at a hotel on Friday after allegedly selling tickets at above face value for the opening ceremony of the games. The Brazilian newspaper Estadao reports that the judge in the case issued a warrant for a search of the man’s possessions. The man has been refused bail and is being held at a detention centre in Rio. Email “Irishman arrested in Rio on suspicion of ticket touting ”. Feedback on “Irishman arrested in Rio on suspicion of ticket touting ”.